Today, corporate citizenship and corporate social responsibility have become more than the simple act of writing a cheque to a charity and walking away. We’ve moved into a new era, often referred to as CSR 2.0. This relates to a new, integrated, holistic and multi-dimensional approach to making a social and environmental impact. It means more than categorizing CSR as merely another “project” and it means much more than just having one isolated department working on CSR initiatives in a siloed, separate environment. It means taking your passion for social impact to the next level and ingraining this practice into every aspect of what you do as a company. And in order to ingrain social impact into your company, you must ensure that you are engaging one of your most significant stakeholders: your employees. Having worked alongside several corporations leading the way in meaningful CSR, I’ve picked up a lot of great tips and tricks along the way for creating effective employee engagement via philanthropy and social impact. First and foremost, philanthropic based employee engagement shouldn’t be mistaken with employee giving or employee solicitation. In fact, I believe that this practice should be incredibly diminished, especially during the launch of a new cause or charitable partner arrangement. Instead, companies (alongside their foundations and their partnered charities) should be innovating and thinking about new ways of how to engage employees on a more meaningful, interesting and collaborative level. Take for instance employee volunteering. Employee volunteering has been known to inspire and encourage employees, providing them with an opportunity to give back to their local and global communities. Time and time again, I’ve seen employees grow in their excitement and enthusiasm for a charity after having formed personal experiences in relation to its cause. This is why we see so much success with corporations who afford their employees with the opportunity to volunteer abroad. But hopping on a plane and building a school isn’t the only way you can get employees engaged and excited about a corporate-driven cause. 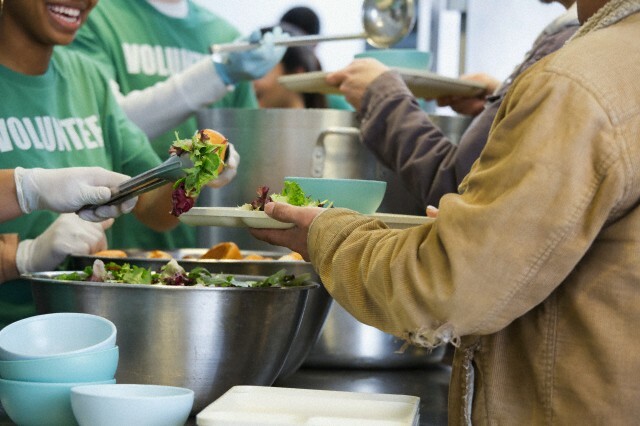 Spending time in a soup kitchen or providing administrative support to a local charity can also have a positive impact on employees. Your company’s CSR initiatives must work to ensure that there is enough access to volunteering opportunities and that it’s easy for employees to get involved. Many companies have moved towards providing employees with an allotted amount of time per year to utilize as paid volunteering time. This increases incentive for engagement, and shows that upper management is serious about making volunteering more accessible to all of its employees. Though I mentioned earlier that employees may find meaningful experiences through serving dinner in soup kitchens or writing thank you letters for a local charity, there’s a better way to get employees enthused about volunteering. The secret here lies in skills-based volunteering. When people are afforded the opportunity to use their skills for good, they are typically more motivated, excited and passionate about what they are doing. What better way to utilize the skills of your employees then to leverage their expertise with your charitable partner. Examples of skills-based volunteering include projects such as pro-bono work, facilitated training workshops, lunch and learns, mentoring initiatives and even board membership. And the benefit is dual-serving. Not only will your employees feel empowered, but your charitable partner will also be grateful for the resources (human and otherwise). Remember that asking your employees for feedback is helpful. This may seem like a no-brainer, but it’s an important step for ensuring continued success. Hold a meeting with a wide range of employees from different sectors and departments, send out a survey and encourage an open forum for feedback and suggestions. Of course, there’s way more to philanthropic employee engagement than volunteering. Corporate charity events, (some forms of) sponsorship, fundraisers (when done right) and internal communications strategies can also increase philanthropic based employee engagement. So get out there and get employees at your company excited about making a difference! Make sure to follow the feed for new posts on philanthropic employee engagement and other CSR-related topics. And be sure to follow me on Twitter @CSRtist. If there are any other types of employee engagement topics you’d like me to write about, feel free to leave a comment below.